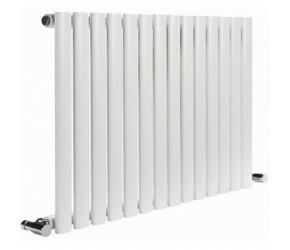 The Neva is the leading range of designer radiators from Reina. Over the years the Reina Neva range has expanded, offering more sizes and finishes so there is something for every room to complete your perfect modern home. Reina Nevas are available in vertical and horizontal, single and double panels and in either white or anthracite finishes. The elliptical tubes not only give an exquisite, modern look, but have a large surface area which results in fantastic heat output to keep your house nice and warm. The radiators are available in three heights (550mm, 1500mm and 1800mm) and come in an impressive twelve different widths. Vertical radiators can be mounted horizontally with different brackets that are sold separately. Please call on 0844 504 6677 if you wish to enquire about horizontal mounting brackets. Horizontal (550mm high) Reina Nevas are suitable for central heating, electric only or dual fuel use. 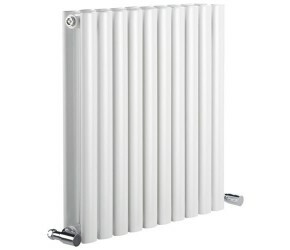 Vertical Reina Neva (1500mm and 1800mm high) are suitable for central heating use only.